Who the hottest in the world right now? Could you be my love, my love? Ooh, would you be my American boy, American boy? Who killing them in the UK? Everybody going to say "You, K!" Don't act a fool now, now." What's your persona about this Americana rhymer? Am I shallow ‘cause all my clothes designer? 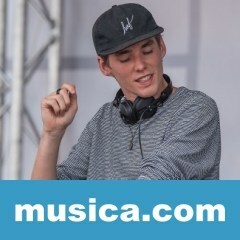 AMERICAN BOY LOST FREQUENCIES REMIX es una canción de Lost Frequencies del año 2019.